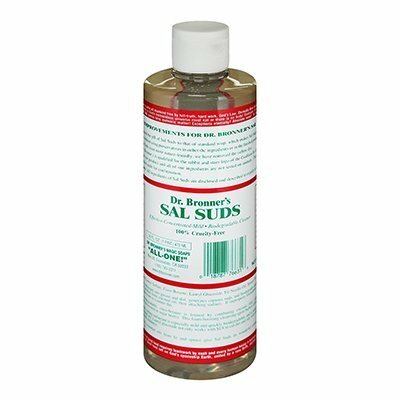 Details: Our Sal Suds Liquid Cleaner is the ultimate multi-purpose cleaner, great for just about any household cleaning task. Use a couple tablespoons for an average load of laundry, dilute with water to sponge down countertops or to mop your floor, or even mix with baking soda to make a powerful scouring agent for bathtubs and sinks. Dr. Bronner’s continues its mission and commitment to building an engine for promoting and advancing positive social change. From pioneering USDA certified organic personal care products, to creating Fair Trade projects across the world that ensure fair and just treatment of farmers and workers, to creating a socially responsible workplace here in the U.S., we strive to honor our heritage with progressive business practices, while devoting profits to worthwhile causes and charities worldwide.